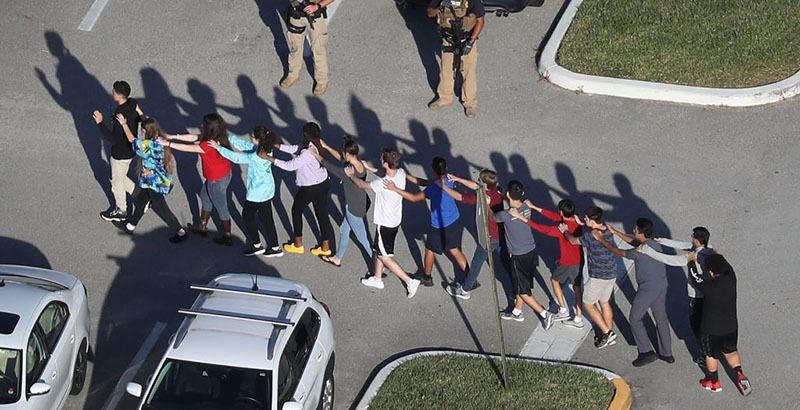 The newly formed Marjory Stoneman Douglas High School Public Safety Commission, made up of nearly two dozen statewide appointed members, is tasked with investigating system failures before and during the Parkland shooting. Problems with radio communication, security flaws, and poorly designed classrooms are all on the table for analysis inside a detailed report heading for the Florida governor’s desk, and it remains to be seen how the commission will address the system failure for student mental health. As a former high school teacher, school site administrator, and assistant superintendent, and as the father of two school-age children, I have seen how interventions (or the lack thereof) have failed mentally ill youth. It saddens me to admit that in a more than decade-long career as an educator working in two large urban school districts, I hadn’t heard the term Adverse Childhood Experiences. But I was deeply familiar with outcomes left untreated. You likely are, too. Children who fall into this category have been directly exposed to violence and abuse in their households, in their communities, or both. They often come from poverty, living in a single-parent home, and it is not uncommon for one of the parents or caregivers to have been incarcerated. These children, when they do attend school, are often challenging kids with disruptive or undesirable behaviors. Severe trauma has defined their childhood and shaped their thoughts and actions. The direct connection between Adverse Childhood Experiences and risky behavior, juvenile justice, recidivism, chronic illness, and death is indisputable. A child with four or more exposures is 20 times as likely to attempt suicide, 2.5 times as likely to smoke, and 6 times as likely to have a drinking problem. The Florida Department of Juvenile Justice reports that approximately 50 percent of youth offenders had four or more of these experiences. Schools have resources to support students — counselors, social workers, psychologists — but what they really need is an effective, programmatic approach to identifying, assessing, intervening, and coordinating these services in a way that provides meaningful outcomes for students. Over the past year, some school districts have started to do just that, working with Invo Healthcare to leverage psychological and behavioral interventions delivered by a multidisciplinary, collaborative team of social workers, mental health and substance abuse counselors, board-certified behavior analysts, and behavior technicians to support children’s specific needs. Clemson University’s Center for Behavior Analysis has found that in just five months of intervention, these students are demonstrating increases in attendance ranging from 50 percent to 75 percent, classroom participation and work completion has increased 300 percent, and reading and math scores have risen. When almost half the children in the U.S. have experienced at least one Adverse Childhood Experience, it is clear that their impact and the need for intervention can’t be ignored. As educators, community members, and parents, we have a responsibility to these children and their peers to identify, assess, and intervene. Doing nothing about this epidemic is no longer an option. Andrew Post is senior vice president of the behavioral health division at Invo Healthcare. Previously, he served as an assistant superintendent in Florida’s Duval County Public Schools, as an assistant principal in the Miami-Dade schools, and as president of Catapult Academy.